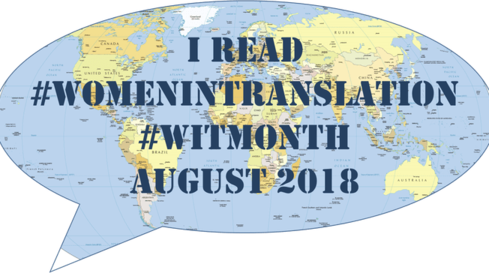 August is Women in Translation Month (established by Meytal from Biblibio), and I have a few books lined up to read (some of which will also fit into Spanish and Portuguese Lit Months). We’ll see what I can get through, anyway. I thought I would start with a book that I didn’t manage to review during this year’s Man Booker International Prize shadowing. Han Kang has swiftly become one of my favourite writers (she topped my “books of the year” list two years running, after all). The White Book is a little different from The Vegetarian and Human Acts, more abstract. It’s structured as a series of vignettes on white things, from swaddling bands to salt, frost to light and paper. There are images of a white city, destroyed during the Second World War and then rebuilt (though not named, this city is Warsaw, where Han spent time on a writer’s residency). Person who begins only now to breathe, a first filling-up of the lungs. Person who does not know who they are, where they are, what has just begun. There are times when the crisp white of freshly laundered bed linen can seem to speak. When the pure-cotton fabric grazes her bare flesh, just there, it seems to tell her something. You are a noble person. Your sleep is clean, and the fact of your living is nothing to be ashamed of. Throughout the book, there is an undercurrent – which sometimes, as here, bubbles to the surface – focused on the question of what it means for the narrator to have brought this “she” into (imagined) being. The implications of this are powerful. As I always find with Han Kang’s writing (with Deborah Smith’s translation, too), there are moments when The White Book just slips straight in and cuts like glass. This, perhaps above all, is why I read fiction: that deep reaction to writing, which electrifies the nerve endings and makes living more intense. 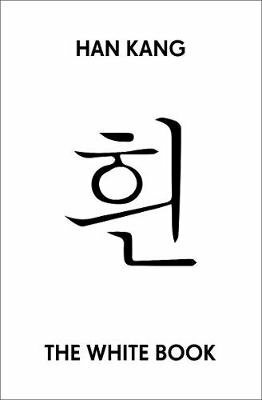 The White Book (2016) by Han Kang, tr. Deborah Smith (2017), Portobello Books, 162 pages, hardback (source: personal copy). Well, dammit: Had I but known, I too could have used one of them swanky banners! I’m just finishing Leila Slimani’s The Perfect Nanny. I enjoyed Han Kang’s The Vegetarian and have Human Acts on the pile; not sure I’d be up for The White Book, though. I think The White Book is a very different kind of book from the other two – and, actually, I think prefer them. Oh, The Perfect Nanny. That was on my to-read list for a while (though it has a different title over here: Lullaby), as a possible contender for the Man Booker International longlist. Must revisit it, as it sounded interesting.